Understanding the intent of the search user is what can help brands cater toward their specific needs. It’s worth considering, “What would my target customer search for to find me?” Once you have a clear image of what the intent behind your prospective customers are, your message can be made more relevant to them through new content or different promotional approaches. Pay attention to search trends to see whether the winds of intent may be blowing in your direction. Entrepreneurs and online businesses of all kinds have been battling it out to find their place on the map of internet visibility, with online rankings being the make-or-break factor in many local businesses and enterprises alike. As search markets have increased, however, carving out a well-defined niche on the Internet has been the dream of many startups and online entrepreneurs. Enterprises have to be wise to capitalize on any niche or runaway trends that can spark up, either on the local level or the national stage. The need for a way to efficiently manage multiple local listings is clear, since flexibility and consistency can play a big role in finding niches to fill. If local listings are disconnected from each other, a mixed message can be touted online. This doesn’t do any favors for enterprises who are looking to build up their brand reputation. Google has also highlighted the trend that more people are meticulously planning ahead than ever. “Best hotels with waterslides” doesn’t just come on a whim, and specific searches for restaurant menus have gone drastically up. Before a trip comes up, users may experience some of the upcoming fun by searching through online reviews, menus, and specific services that are offered. In fact, searches starting with “Best…” were highlighted as one of the most popular query types. Providing tools that help people plan is one of the best ways to stay engaged in the modern path of business discoverability. When you give search users the tools to plan ahead with your service, you’re capitalizing on the trend toward planning out their experiences ahead of time. While showing up on more spontaneous platforms—like car navigation apps—is important, businesses should be prepared for many users to have already checked them out online, read reviews, and made decisions about the service they want. This is all before they even step in the door, or place that online order. Researching search trends on Google Trends is a great way to stay on top of the latest search query swells. By observing the search patterns that arise in your field, you can try to stay ahead of an oncoming curve. For example, if you’re in the sports apparel business, you can capitalize on the search queries that arise regarding NBA champion-related apparel after a finals match. This is where it becomes critical to be able to manage your multiple listings from a centralized platform. The finesse it takes to stay ahead of trends is best accomplished from a listing management platform such as Uberall. 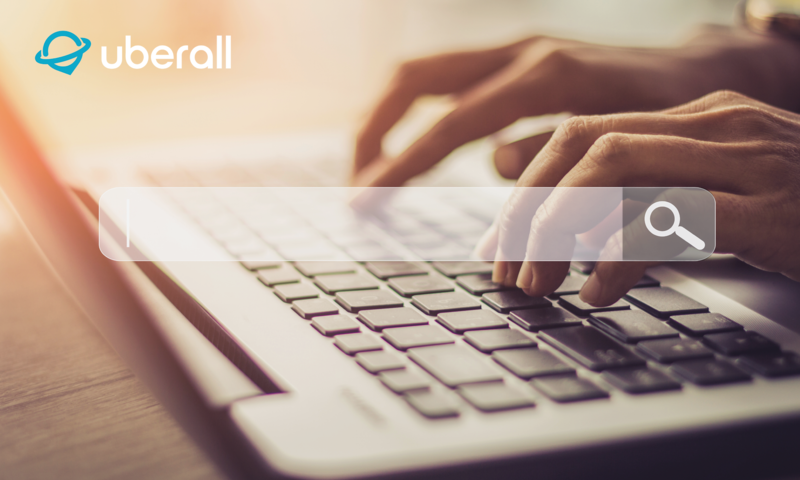 By helping businesses go beyond just local listings, Uberall enables enterprises to stay ahead of the ever-changing world of search. Staying relevant in today’s online ecosystem requires the power to manage multiple listings from an efficient, centralized platform. The search world is changing with the growth of location marketing, voice search, and AI-powered suggestions, and Uberall helps your brand handle all of the elements at play. Request a demo today on our homepage to see what the Uberall platform can do for your business enterprise.